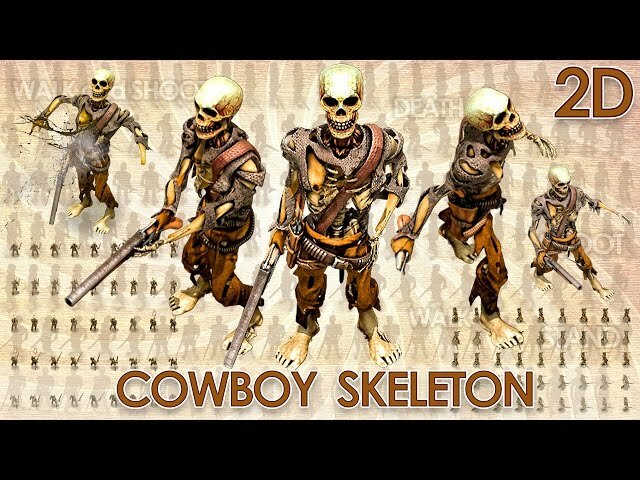 2D Cowboy Skeleton animated character for isometric games. 3D Character rendered from 8 directions every 45 degrees. Camera also 45 degrees to the ground. Created for isometric 2D games. The character is about 120-140 pixels in height.